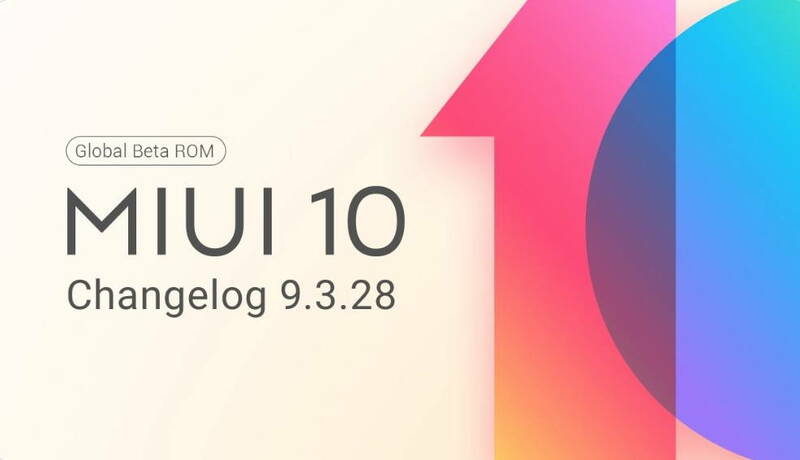 Xiaomi has released the latest MIUI 10 Global Beta ROM 9.3.28 for several Mi devices including POCO F1, Mi 8, Redmi 6A and more, and it brings some major features to the devices. The latest MIUI 10 Beta 9.3.28 update now adds Dark Mode, that’s now available for some applications. The Dark Mode for some applications can be enabled by heading to your phone’s Settings -> Display -> Dark Mode. In addition, the latest MIUI 10 Beta 9.3.28 update also brings other features and March security patch. The Xiaomi devices which are included in this update includes Redmi Note 5, Mi Note 2, Mi MIX, Mi MIX 2S, POCO F1, Mi 8, Redmi 6A and more devices. You can check out the full changelog below. 2. Updated Android Security Patch (March 2019) Increased system security. 3. Virus scan started over after users tapped the results of a completed scan. 4. Battery indicator didn’t disappear when the Notification shade was opened on the Lock screen. 5. Adding passwords while transparent wallpapers are applied. 6. Issues with displaying notifications on the Lock screen. 7. Errors occurred while entering passwords and PINs. The devices which are not included in this update due various reasons are Redmi Note 4 Qualcomm / Redmi Note 4X (mido), Redmi 5 Plus, Redmi S2 and Mi 9, Redmi Note 4 MTK.